This Kildare derby had all the attributes of the local rivalry at its keenest with Newbridge winning in October and Cill Dara getting their revenge now. This was a really tight game with both sides exerting various degrees of pressure. Cill Dara led by 8 points to 6 on 74 minutes and a drop goal from Newbridge looked to have given them the edge. However, Cill Dara scored 10 points in the final minutes of this keenly contested game. Cill Dara won with 2 tries (one converted) and 2 penalties to Newbridge’s 2 penalties and a drop goal. From the off the Newbridge forwards took the game to Cill Dara. Outhalf Ronan Skehan was wide with a penalty after 8 minutes but got 3 points from penalty kick in the 12th minute from 25 metres. Cill Dara scrum half Peter O’Neill was wide with a kick from 40 meters but got his teams opening score from a penalty from in front of the posts on 20 minutes. Both sides offered everything and in the final minute of the half Cill Dara moved the ball from No. 8 John Joe McIlwrath to wing forward Conor Smyth who scored a try in the corner. At 3 points to 8 at half time the game was still wide open. Karl Darragh converted a penalty for Newbridge from 3 metres in the 47th minute. Newbridge substituted Conor Dolan with Sebastian Berti and Liam Donovan for Liam McGovern. The key time in the game came right at the end. Newbridge exerted a lot of pressure on the Cill Dara line but were held up short. Darragh came good in the 76th minute with a well taken drop goal for 35 metres to put Newbridge ahead by 9 points to 8. From the drop out Cill Dara won a penalty which Peter O’Neill converted to put Cill Dara back in front as injury time was now at the referees call. A late try right on full time from Mighty Okafor which was converted by O’Neill saw Cill Dara win the day. Best for Cill Dara were Colm O’Loughlin at prop, John Joe McIlwrath at No. 8 and Peter O’Neill at scrum half. James O’Loughlin at centre also had a good game. Newbridge we were led by their Captain Ronan Mangan at No. 8 and Thomas Munita at prop. Mark Delaney a scrum half delivered good quick ball and outhalf Ronan Skehan did well. Newbridge: Billy Gainey, Ian O’Rahelly, Tomas Munita, Oisin Howell, Rory McCann, Jeff Dreaper, Ronan Mangan (Capt), Mark Doyle, Mark Delaney, Ronan Skehan, Robbie Browner, Denis O’Callaghan, Karl Darragh, Liam McGovern, Conor Dolan. Subs: Brendan Tiernan, Sebastian Berti, Liam Donovan, Brendan Commane, Denny Murphy. 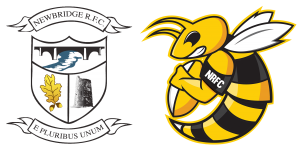 Newbridge are at home to Mullingar on Sunday next at 2.30pm.